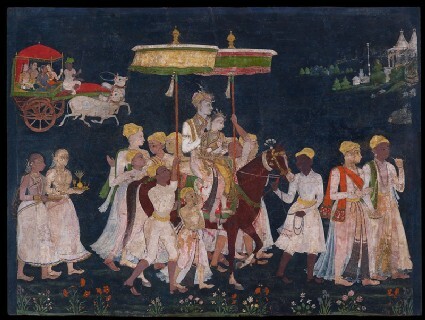 This scene of a wedding party travelling by night depicts Sultan Muhammad Quli Qutb Shah of Golconda (r.1580-1612) bringing home his bride, the beautiful Hindu dancing-girl Bhagmati. 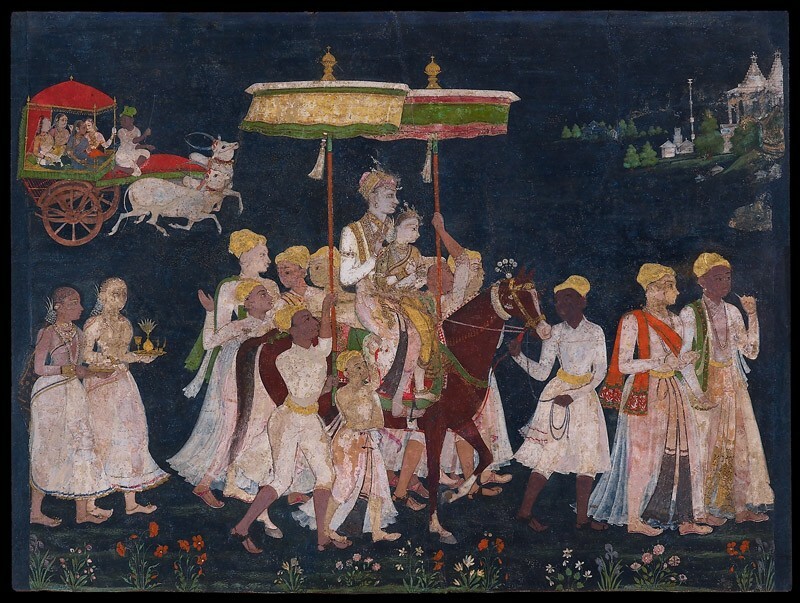 Himself a Shia Muslim, Muhammad Quli had fallen in love with Bhagmati as a young prince. He would often ride out to visit her village, fording the sometimes dangerous Musi river to do so.